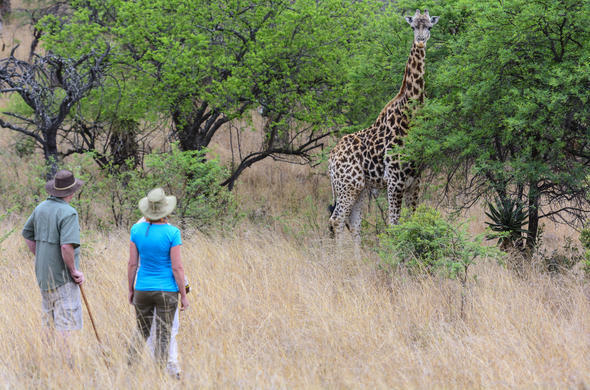 Are you clueless about what to pack for your KwaZulu-Natal Safari? Want to know what is one of the biggest mistakes visitors make with their luggage? Here is a handy guide to put things in perspective and give you a basic guideline. In all the excitement of going on holiday, most people forget the traveller's mantra when it comes to packing - Less is More. This is never more important than when you go on safari, it is the classic error made by many a holiday maker, especially those on a fly-in safari. If you are taking an air charter flight to your destination then picture this - a well heeled visitor arrives at the check-in counter for the charter flight and discovers that a) the luggage restriction on small aircraft is a paltry 15-20kg (33-44 pounds), b) the hand luggage restriction is a meagre 5kg (11 pounds) and to add insult to injury, only a small, soft duffel type bag (without a hard base and wheels) will fit in the storage area onboard the aircraft.Always check what the requirements are for your particular safari and take into account any travel arrangements on either side, whether by air or by vehicle. The average length of a safari is between 2 and 5 nights and the climate in KwaZulu-Natal is generally warm, so you won't need heavy clothing and endless combinations to wear even if you are self-driving in your own car to the lodge. Assess the lodge you are going to, is it more casual or formal? A casual or family lodge may have a more relaxed approach to dress code in the lounge, dining and bar area (i.e. shorts and T shirts), whereas a more formal lodge may require guests to dress accordingly. It is best to keep things light and low key, so forget the designer khaki clad look.Comfortable cotton clothing in neutral tones works well in the bush and in the summer heat so pack light trousers and shorts, light long and short sleeved shirts, T shirts, fleece, waterproof jacket / windbreaker, sandals, comfortable walking shoes, boots or track shoes, swim suit, sun hat, sunglasses, sunblock, insect repellent, lip balm, small torch, video camera, binoculars, camera with good telephoto lens, batteries and camera film (check if the camp or lodge has facilities for recharging batteries).In the winter months (middle months of the year) it is often warm and sunny at mid-day so you may be able to swim and suntan depending on where you are in KwaZulu-Natal, but mornings especially on the early game drive will be cool so take a warm padded jacket, scarf, gloves, jeans and light sweaters. Most of KwaZulu-Natal is considered low risk for malaria and there are also a number of malaria free zones. You will need to find out where your lodge is located and get advice on what prophylactics to take if necessary and any preventative measures you can put in place at your destination to avoid being bitten (e.g. using repellents, covering exposed skin in the evenings, sleeping under a net). Also, consider what you may need to do if you are travelling on to another safari destination in a malaria zone such as Kruger Park.You can get away with more skin exposure in areas of low risk for malaria, but it is usually wise to put on long sleeve cotton shirts and trousers (cover wrists and ankles) especially at sunset and at night when biting insects are most active.